Braun Multiquick 1 Hand Blender 450W Retail Box 1 year warranty. 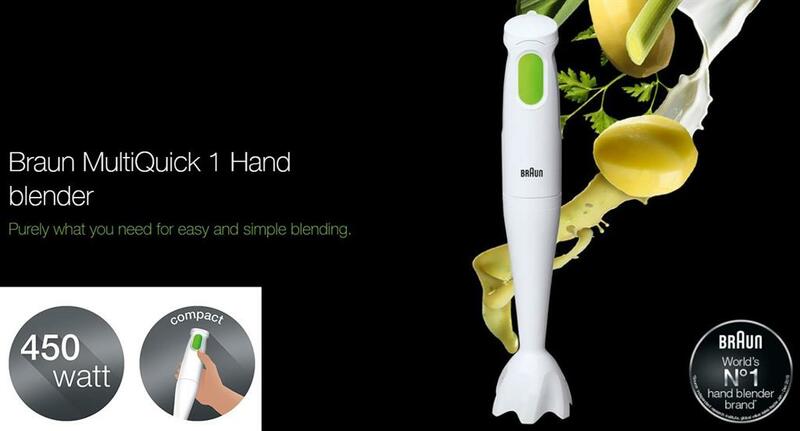 Patented hand blender technology: Proven to produce finer and perfectly even results. Unique anti-splash design to ensure a spotless kitchen.